The first concept for X-Morph: Defense was created sometime in 2010, however full production started in 2013, just after we finished the PlayStation 3 version of Zombie Driver HD. It has been a long time since we posted news on D.I.P.R.I.P. Many have already thought (and written on our forums) that there will be no more updates... Today we are proud to announce what we have been doing since March. 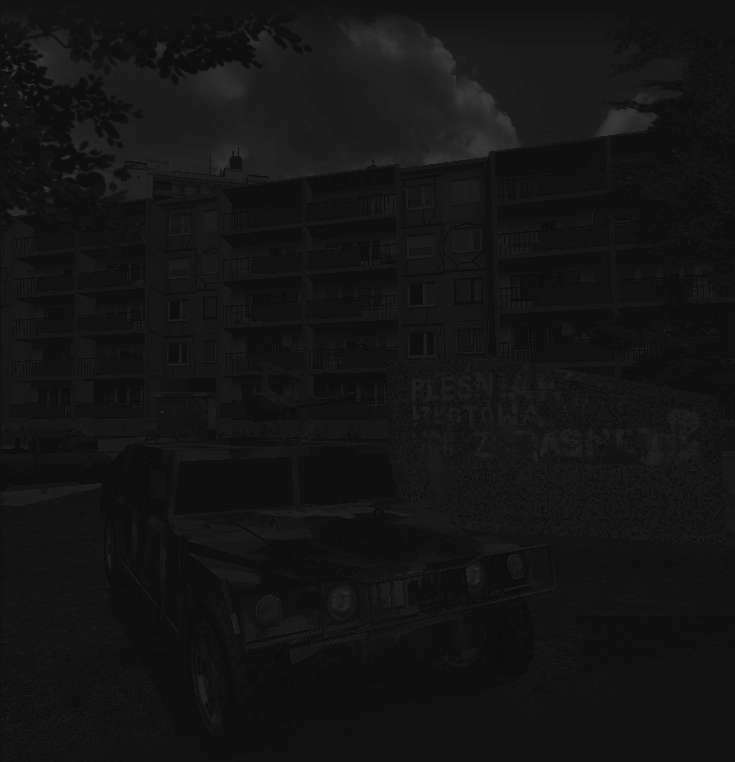 The new game is called Zombie Driver. It is a driving, shooting, 3D action game - similarity to D.I.P.R.I.P. is purely incidental :). This time it is singleplayer and you will be more in the zombie obliteration business rather than the metal bending business. The game is based on open source/free solutions like Ogre3D for rendering and PhysX by Nvidia for physics simulation. The team behind Zombie Driver is exactly the same as it is for D.I.P.R.I.P. Developing Zombie Driver does NOT mean that we are abandoning D.I.P.R.I.P., on the contrary, Zombie Driver is meant to support D.I.P.R.I.P. To finish a huge project like D.I.P.R.I.P. and to make it a great game, which has always been our dream, we decided that we need to publish a game like Zombie Driver. Otherweise we were not able to focus enough on making D.I.P.R.I.P. and the progress was too slow. Zombie Driver is also tied to the D.I.P.R.I.P. universe in some ways. Especially for D.I.P.R.I.P. fans we included one of the D.I.P.R.I.P. cars inside the game. It's a hidden vehicle that you will have to unlock as a reward for completing a side quest. Check out some exclusive screenshots with the Ratmobile vs Zombies confrontation below. To learn more about Zombie Driver please head on to the Zombie Driver website which includes screenshots and a debut trailer. A non mandatory server update addressing missile balancing issues has been released. The changes will be applied as soon as a server is updated. There has been a lot of controversy about blue rocket spamming and we hope to eliminate the problem with this update. Let us know what you think. A required update fixing the yesterday's startup crash problems has been released. It also adds the map list map icons and two rocket balancing changes. 2008 has passed as a year full of success for D.I.P.R.I.P. Our first demo release in March has put us on the modding scene and gathered a lot of positive feedback followed by numerous press reviews and interviews. The innovation and quality delivered by D.I.P.R.I.P. has been recognized by Valve and we were able to Warm Up the modding scene once again in October by delivering D.I.P.R.I.P. Warm Up directly through Steam. "What at first looked to be a simple take on the classic 'Twisted Metal' quickly gathered speed and became a lot more than a simple re-make. DIPRIP sees players driving huge metal beats around beautifully created landscapes, fending off fellow drivers with bombs, rockets and miniguns while carrying nuclear bombs into the enemy base to create just that little bit more destruction. Featuring its own achievements and packing completely destructable scenery and explosive action, DIPRIP is a hell of a lot of fun and more than deserves our Mod of the Year award..."
As 2008 has come to an end the Moddb.com's Mod of the year Awards nominations voting has now begun. 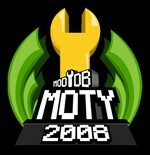 "From January 2nd to January 16th every indie game and mod on the site has a voting booth activated in their profile. It is now up to you, to find your favorites, play them and vote for them - so we can narrow thousands of contenders down to the players choice top 100..."
Remember to vote for D.I.P.R.I.P. and wish us good luck in the voting. A client update has been released today fixing a crash caused by statistics gathering on some machines. The long waited D.I.P.R.I.P. update is coming today. This time we are adding Steam game play statistics which you can view during map loading or from the main menu. As promised we have also released a deathmatch version of the Dam map with some new textures and other graphical improvements. Additionaly to the new map, de_dam, ur_refinery and dm_refinery maps have recieved small game play improvements. On top of all that there is a new achievement "Destroyer of Worlds" which is unlocked after destroying 2000 objects. Steam statistics tracking is coming to D.I.P.R.I.P. Today we can finaly confirm that the next Steam update will add gameplay statistics to DIPRIP. Below you can find two early screenshots of the in-game statistics panel. Statistics will also be displayed during map loading and in the Steam Community profile similarly to Day of Defeat:Source and Team Fortress 2. We hope to have this update ready for the end of this week, it will also feature a new deathmatch version of the Dam map and a few additional improvements. A new update including a deathmatch version of the City map is coming to Steam later today. The update also includes a number of bug fixes and improvements to the game. We are planning to release a bigger update late next week containing a DM version of the City map, a few fixes to some of the other maps and additional gameplay fixes and improvements. Along with that update we will also be releasing a linux version of the dedicated server. 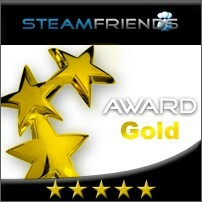 On a separate note we are very proud to have been awarded with a Gold Award by SteamFriends.com! "We only award the Steamfriends Gold Award to games we believe to be of the highest calibre and DIPRIP is definitely one of those games. Not only does it feel well-polished, enjoyment-driven and full of oozing potential, but just talking to the creators for a few minutes about their mod, you can just tell that it has months of months of pure love for gaming hammered into it"
We really appreciate the feedback that we are recieving after the release, both positive and negative. Remember to let us know what you would like to see next in D.I.P.R.I.P. and leave your opinion on our forums.